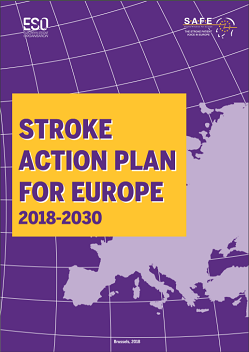 The Stroke Alliance for Europe has conducted a review of its strategy and goals for the period to 2021. This will enable us to make progress against our constitutional objectives and also support our member organisations. Importantly we now have a firmer partnership with the European Stroke Organisation (ESO) and we want to build on this to drive the stroke agenda forward in every country within the geography of Europe. 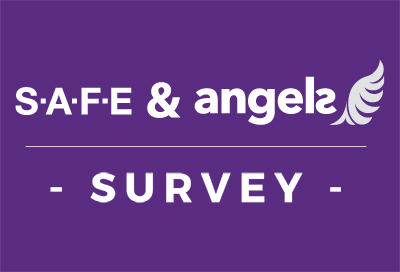 SAFE asks that all member organisations should consider positively the opportunities which will be presented by participation in SAFE and build our collective and individual strength as stroke support and advocacy organisations. These activities and goals are proposed with the intention of making all organisations stronger in the longer term, at both a national and European level. SAFE therefore engages in activities such as campaigning, education and encouraging research, which contribute to the advancement of stroke prevention and the improvement of the quality of life of stroke survivors, their families and carers. We do this both at a European level, and by supporting members to do so locally. The overall aim of SAFE is to reduce the numbers of, and ameliorate the effects of, strokes across Europe. Which objective, and with what vigour they are pursued, will vary according to the environment at the time, and the possibilities of strategies around the objectives being likely to achieve success. to encourage the growth of stroke organisations reflecting the views of stroke survivors and their supporters. Since 2015 the SAFE membership has continued to expand, and the implementation of partnership building strategies has led to the creation of links with the ESO and commercial organisations in the world of stroke to progress. The goals match the priorities identified by our members, and ‘Governance and resources’ added as this underpins all our work. Support stroke patients to receive better access to specialist care and rehabilitation. Encouraging and growing stroke patient groups. Influencing decision makers at EU level. Attacks (mini strokes), high blood pressure diagnosis and treatments, and supporting continued medication or lifestyle change regimes are all part of this. Stroke treatment and care is not a priority in many countries. Provision is unequal across Europe and within member countries. SAFE will put the experiences of people who have had a stroke and their families at the centre of all our discussions, campaigning and lobbying, acting as an advocate at a European and supporting local level member campaigns. SAFE will centrally provide members with information, templates and material to ensure they are kept up to date with developments in stroke care, support and rehabilitation and SSO development. acute treatment and care to improve outcomes. able to achieve the best possible recovery during the acute phase, rehabilitation and long term support. in all our member countries. and knowledge, and urge governments to improve activity in their countries (2). be driven by the needs of people and their carers who have had a stroke to improve care and support along the stroke care pathway. We want to increase the number of organisations and the groups of stroke survivors and carers associated with them across Europe and help our members to share good practice, experiences and learning and enable sustainability and growth. Deliver an annual Working Conference and General Assembly for our members to meet and share ideas, materials and programmes, and at the same time, get involved with the strategic direction and activities of SAFE. Encourage, develop and create stroke related patient organisations and affiliate them to SAFE, and partner with and encourage other organisations with a shared interest to affiliate as supporters and sponsors. Through regional events, webinars, the members section on the SAFE website, the provision of support and pump priming grants, to enable opportunities to share resources, experiences and enable growth and sustainability of member SSO’s. Ensure opportunities are available for members to discuss community and peer support systems to support and enable growth of these within each country. Provide material for members, the WSO and other organisations supporting the value of self-management in stroke survivors and the value of peer to peer support, and raise awareness of this issue. Review terms and conditions of membership to strengthen mutual engagement of SAFE and member organisations, create an engagement plan so there is more mutual support and collaboration all year round. Stroke is a preventable, treatable and beatable condition, and as a European alliance support organisation we are in a strong position to campaign and lobby effectively at EU level for more resources and awareness of stroke, and to support members to operate at country level. Support the development and delivery of an annual European Awareness event in May every year. 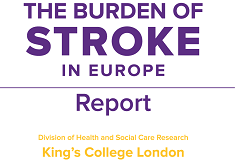 Develop and build on the SAFE European Burden of Stroke report, creating and developing an industry partners group, and with ESO work for progress on all aspects of European stroke care, and with WSO through participation on the World Stroke Campaign Group. with members to identify lobbying opportunities and position statements. Promote the positive activity of SAFE and its members, and reinforce the purple identity of the stroke cause. Work towards the establishment of a campaigning presence in Brussels. This presence will enable member organisations to lobby and communicate with their MEP’s as well as pursuing an agenda on European campaigning as agreed by the General Assembly. Research evidence has led to the development of real improvements in stroke prevention, treatment, rehabilitation and care. SAFE has a unique role to play as a stroke support organisation being a visible, pro-active member and advisor to project consortia, disseminating information about research projects through our members. Horizon 20:20, the EU funding framework, provides an opportunity to strengthen this contribution and our aim is for SAFE to be the default ‘go-to’ partner for stroke research projects requiring patient representation. Continue to participate in at least 3 concurrent research projects working on dissemination and communication about the projects to stroke support organisations and the general public. Be involved in European research activities and the development of research proposals identifying for each project what level of support SAFE can provide. Support each member organisation by providing research information and templates for different communication channels to disseminate research information. Build and serve networks that will support our wider goals by cultivating relationships with key academic clinicians who sit on national and European guideline making bodies. Empower members through the dissemination of research findings to campaign for improvements in treatment and care at a local level. Ensure finance due to SAFE for EU related research activity is claimed. Stroke has now climbed to become the second biggest cause of death in the world, and the number one cause of severe long term disability. SAFE does not have the resources to combat the disparate cause of ill health across Europe, but we can play a part in more focussed campaigns to ensure that where warning signs appear or can easily be diagnosed then action takes place to prevent a stroke. To this end we will raise awareness and campaign on the following areas, although this list may be added to due to environmental changes or opportunities presenting themselves. The Board will consider creation and implementation of awareness activity relating to these goals, spread across the five years and utilising World Stroke Day and European Awareness week as hooks to promote these messages and the need for stroke support organisations. High Blood Pressure diagnosis and its treatment, raising awareness of its relationship to stroke. Atrial Fibrillation, what it is and its relationship to stroke, diagnosis and treatment. Mini strokes – what they are, their relationship to more serious strokes, diagnosis and treatment. The need to maintain medication and healthy lifestyle regimes. Awareness of the symptoms of a stroke occurring campaigns, such as FAST, and the actions to take. To deliver this strategy we will generate the resources required to sustain and develop SAFE. We will maintain partnerships that help to deliver our strategy. Develop a fundraising plan to support the delivery of the strategy identifying new funding streams and pursuing them. Develop and improve our financial reporting procedures and processes, particularly operational expenditure and income, balance sheet and cash flow within quarterly accounts. Ensure our members understand their responsibilities in relation to delivering our commitments to research projects. Ensure new board members follow an induction process and understand their governance role and responsibility, and undergo performance review annually. SAFE will create a pump priming fund to aid development of new member organisations, and employ more paid workers in taking our work forward. SAFE will seek to recruit members to the board who have competences and skills necessary to enable delivery of our strategy and constitutional objectives. 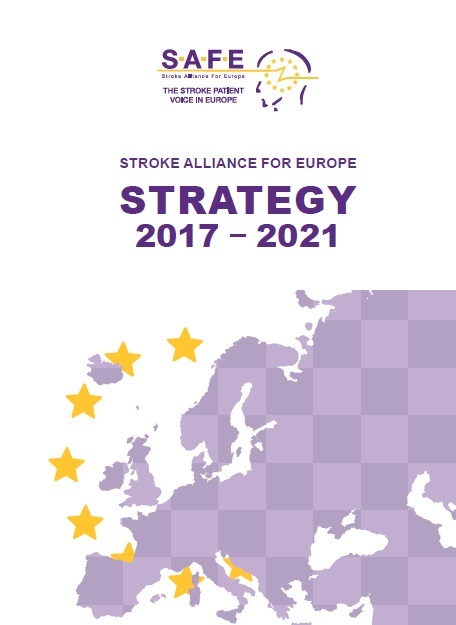 The document “Stroke Alliance for Europe: Strategy 2017-2021” is available for download from this link.